Whether you’re looking for a vehicle wrap, outdoor advertising or printed materials to get your name out there, we can help! 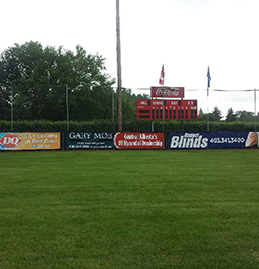 Reid & Wright Advertising- more than just signs! 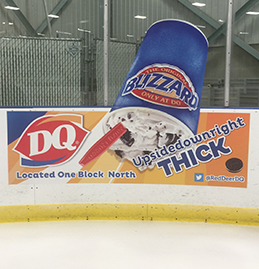 Reid & Wright Advertising offers a range of advertising options in Red Deer, Banff, Calgary, Lloydminster, and Winnipeg. Whether you’re looking for logo design, signage, vehicle wraps, branding material, or guidance for your business’ advertising and identity we can provide you with any one or a combination of services. 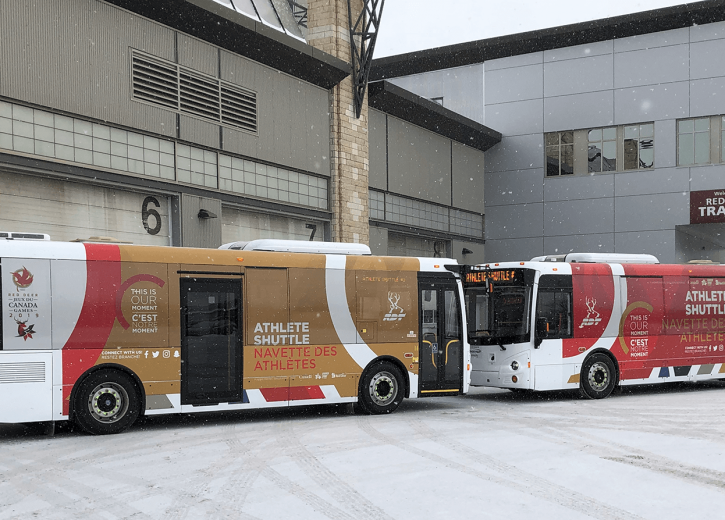 These shuttles turned out great and are ready for the athletes of the 2019 Red Deer Canada Games! If you’re in need of getting the word out about your event, let us help you! 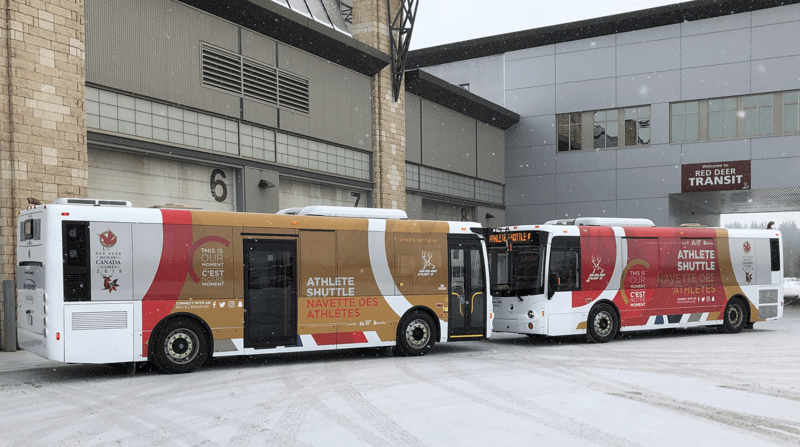 Benches, Billboards, and Bus Advertisement are just a few ways to deliver your message! Contact our sales team to get started today! Attention Red Deer! Are you looking for a new way to advertise your business? 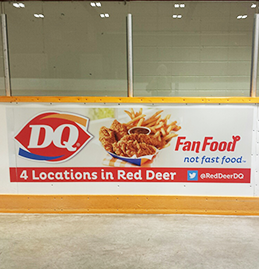 We can provide you with advertising options in all of Red Deer’s Sporting Facilities- diamonds, rinks, arenas, pitches, fields.. Contact Clark for availability.